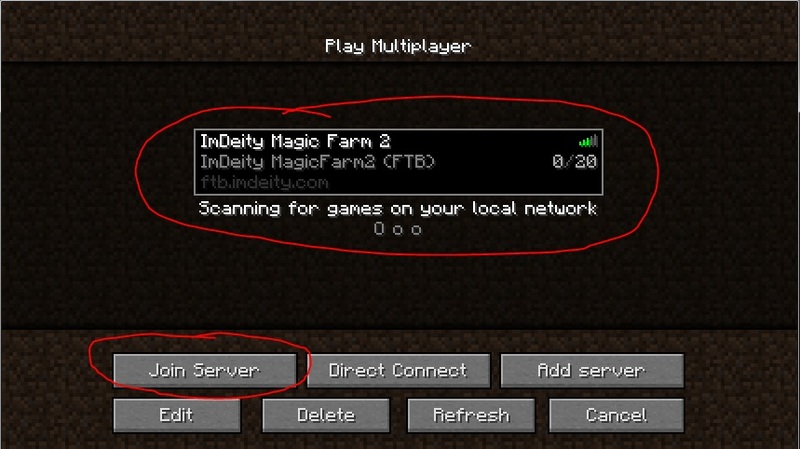 There are 7 easy steps you need to complete in order to connect to the ImDeity Feed the Beast servers once you qualify to join. Click the dropdown box that says ‘Select Profile’ and click ‘Create Profile’. 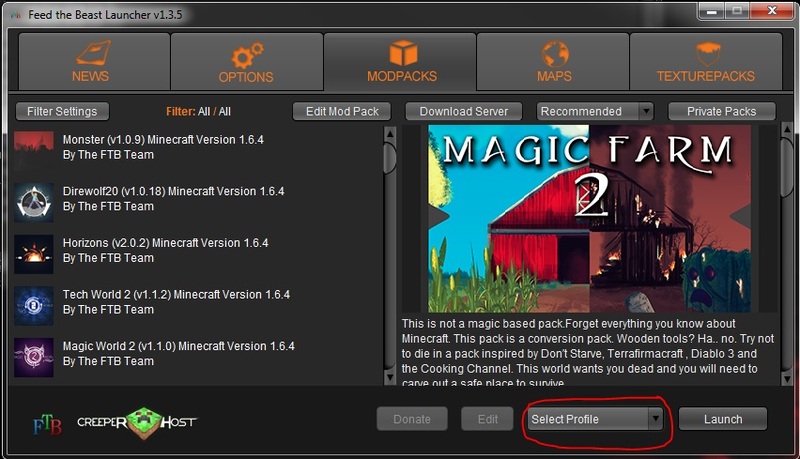 Use your Minecraft login information to set up your profile. 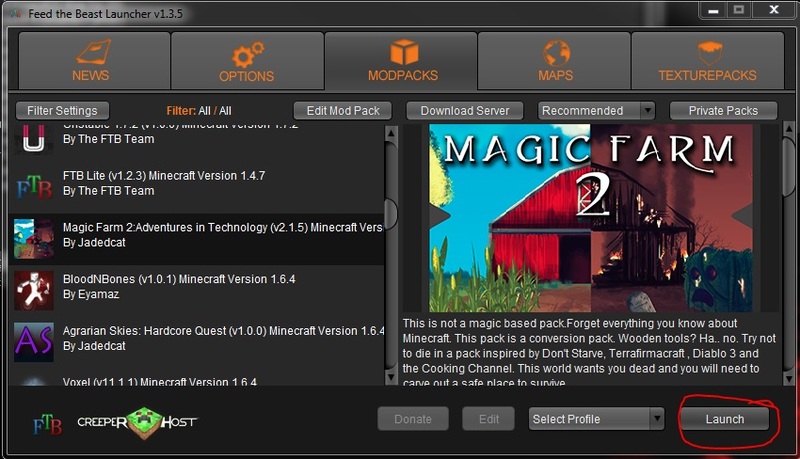 Select 'Horizons’ as the mod-pack you want to play. Select the version you are going to use. Usually this is going to be the ‘Recommended’ version, but you will sometimes have to use an older version depending on whether the server has been updated or not. Click ‘Add server’. You can name the server whatever you want. In ‘Server Address’ you will need to put ftb.imdeity.com then you can click ‘Done’. 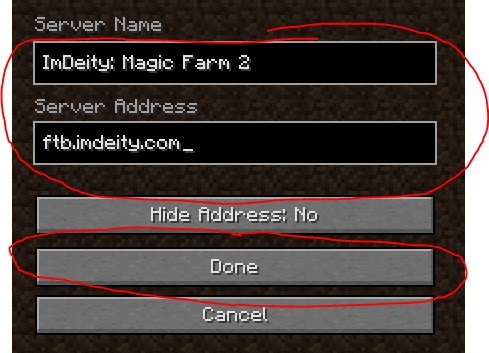 Select the server you just added and click ‘Join Server’. Then prepare for a new experience!